Lavender falls into a unique group of plants called subshrubs. These plants do not die back in the winter like herbaceous plants do. Neither do they have hard wood like true shrubs. They go through a dormant stage during winter but retain their leaves. The wood is pliable and softer yet remains a permanent structure year-round. Lavender starts out as a uniform compact plant. Over time, the lower part of the lavender plant becomes woody. The branches also become twisted and the bark shreds. This portion of the plant will eventually become bare and unproductive. This is the reason lavender plants are changed out every three to five years. They will go on producing flowers. but the plant becomes less attractive. 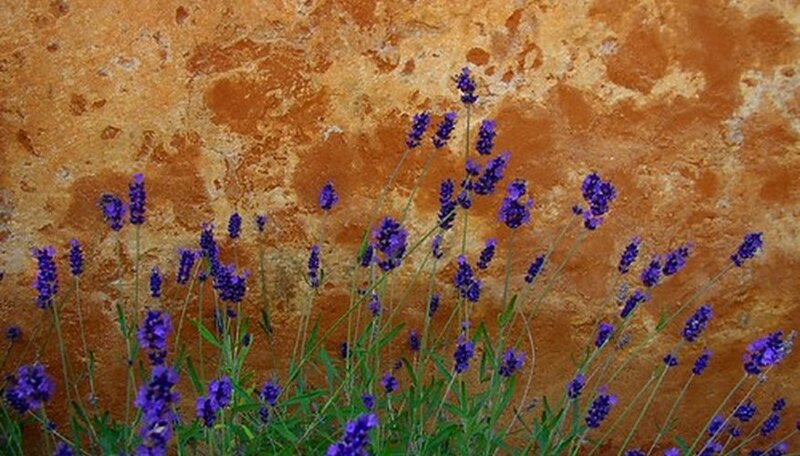 The new growth of lavender plants is greener and more pliable. It is the portion covered with leaves. All of this wood on younger plants will be viable and green. Once the last blooms have faded, this new growth can be pruned. Always leave a portion of the pliable wood. Do this at least a month before the first frost. The new cuts need time to heal before the cold weather comes. The flower stem will emerge from the area of new growth. Lavender flowers are useful in a number of ways. The flowers contain the highest amount of essential oils. The most common way to remove the oil is through steam distillation. Lavender oil has a soothing affect. This is one of the few oils that is safe enough to apply directly to the skin. These oils are used in cosmetics, flavoring foods and in aromatherapy products. The flowers are also dried and used for decoration. When a lavender plant gets old and woody, it is better to propagate new ones. This can be done by taking cuttings or by layering. You will need to use a very low branch left attached for layering. Dig a small hole right below the branch. Remove the leaves from the area to be rooted and scrape the bark slightly. Bury the branch and place a rock over it to keep it below the soil surface. It may take six months to one year to develop roots. At this time It can be severed from the plant and trans-planted elsewhere. Most common lavenders are English varieties (Lavandula angustifolia). This is the hardiest group of lavenders. A full-sized plant can reach up to 3 feet in height and be as wide. There are also dwarf forms of English lavender. These will remain 1 to 2 feet tall and wide. Another group called spike lavenders (Lavandula latifolia) have a slightly different structure. The woody base is much shorter and the flower spike longer. The cross between English lavender and spike lavender is called (Lavandula x intermedia) and will bear characteristics of both parents.